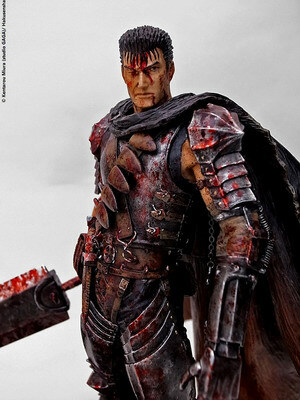 July 15th, 2013 By: GGT Category: 2013/09 release, 2013/10 release, Figure News. 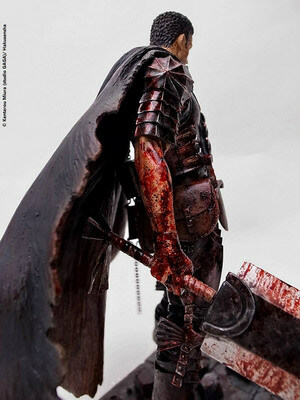 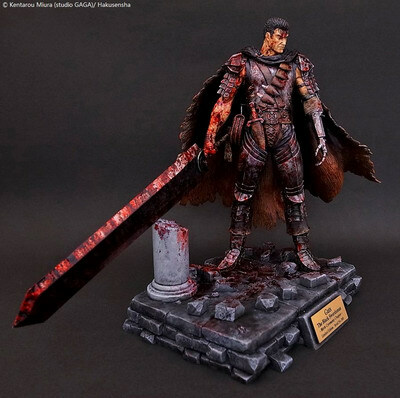 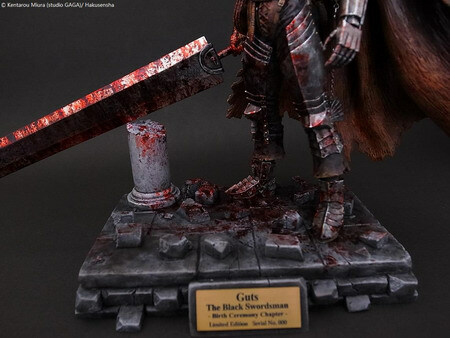 Art of War is going to release the Guts ( ガッツ ) the Black Swordsman Birth Ceremony Chapter 2013 blood version ( 黒い剣士　生誕祭の章　限定III スプラッター彩色版 ) 1/10 Polystone figure from the manga/anime “Berserk” ( ベルセルク ). 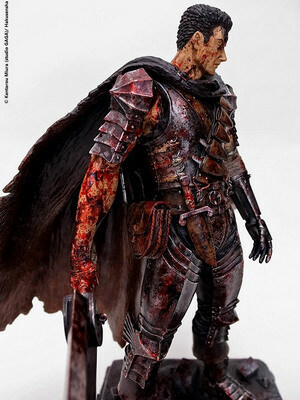 Will be released in September-October 2013. 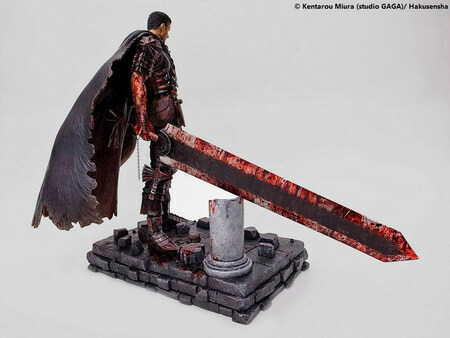 Around 330mm x 180mm x 220mm, 47,400 yen. 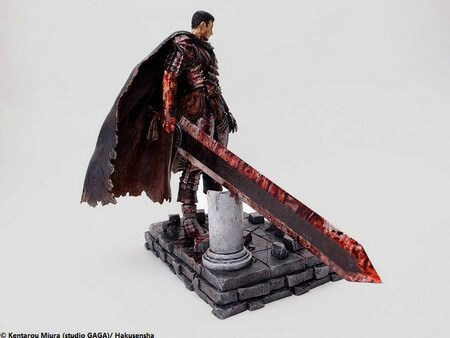 Only 50 pieces will be available. 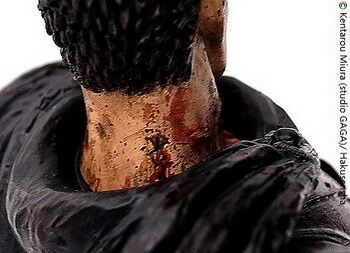 Each figure attached a nameplate with serial numbers 101~150. 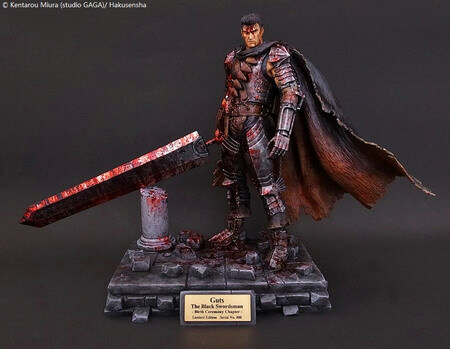 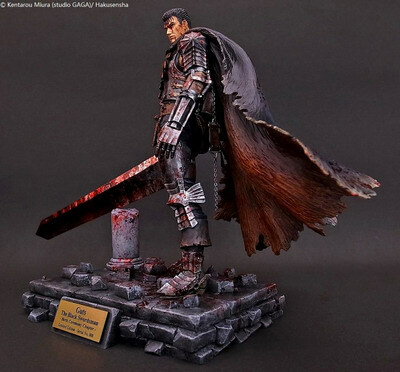 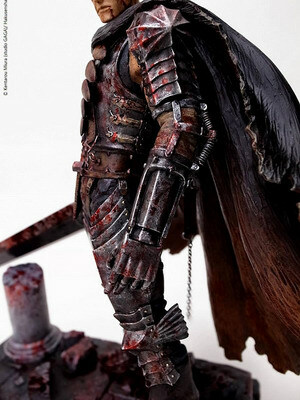 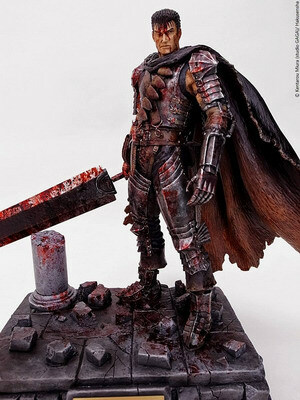 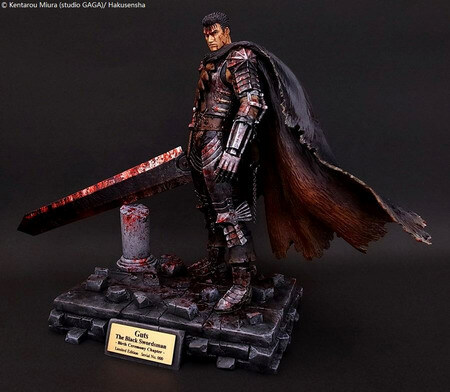 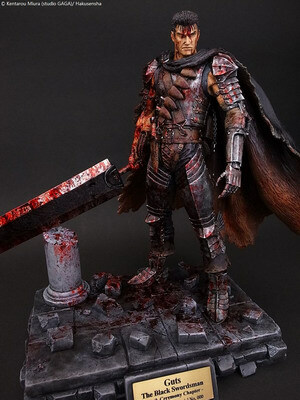 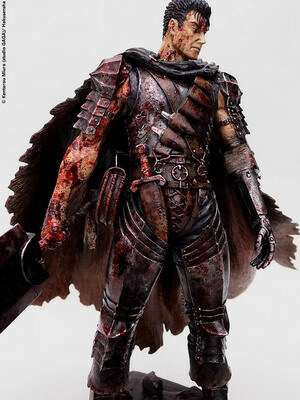 For those of you who want to order this Guts figure, Art of War do ship overseas so you can order him on their website HERE directly. 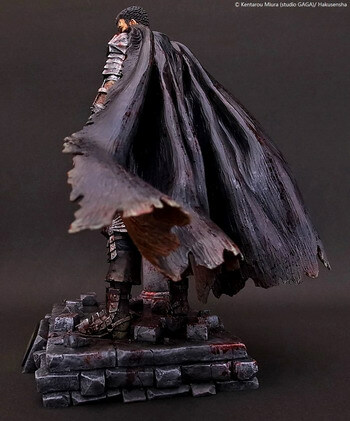 Or you can check out their eBay page HERE. 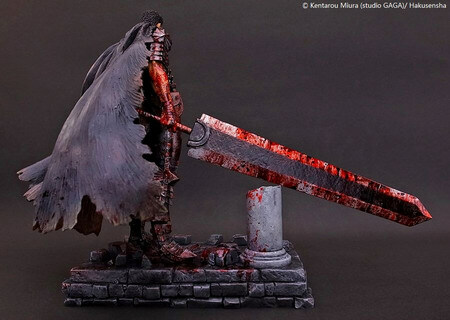 Answer the demands for battle damage and blood splash effect, we add this splatter colored repainting version. 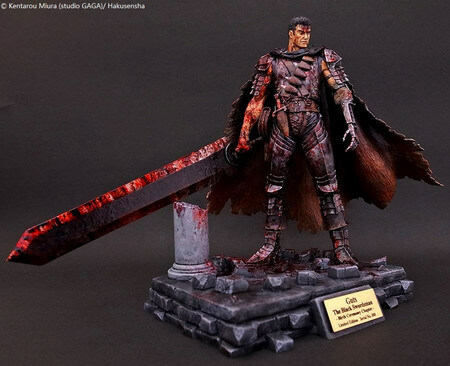 After the intense battle with the angel-shaped apostles, Guts standing in blood and dust, this image becomes more real by this repainting version. 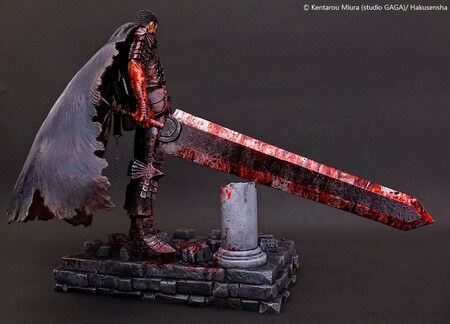 For the most bloody effect!! 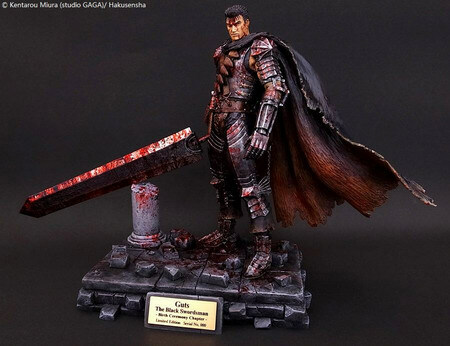 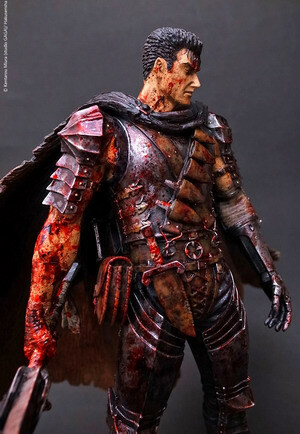 Remain the delicate metal and leather feelings of Gutsfs armor, but add blood colors as much as the designer can to express the tragic of the battle. 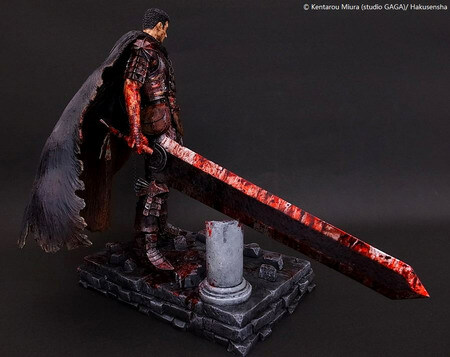 Blood splashed from the sword to the base, from Gutsfs head to his feet, even the inside of the mantle is painted with blood drops. 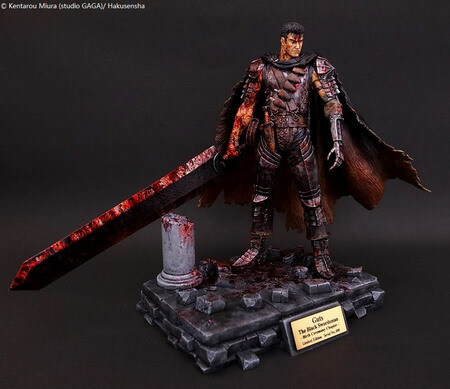 The blood effect is carefully designed; some drawn from Gutsfs face and arms, some you can see is the enemyfs blood splashing on the dragon kill sword, and some is already mixed with the duct on the castle. 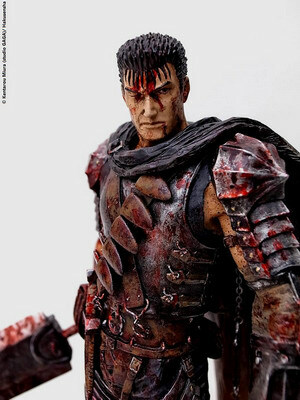 Compare to the exclusive version and standard version, the color for armor, sword, mantle are all changed, and the color of Gutsfs skin is also painted to be more white than the other two versions. 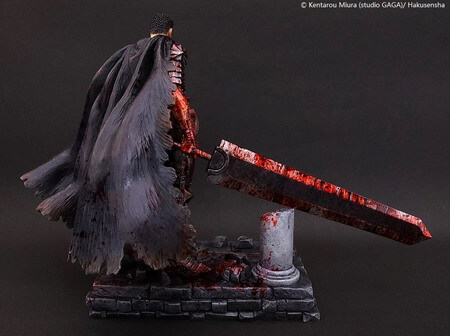 *For this version, the dead angle shaped apostle is not attached. 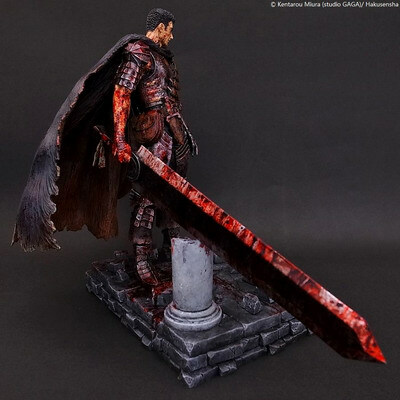 The original model is totally same as the standard version. 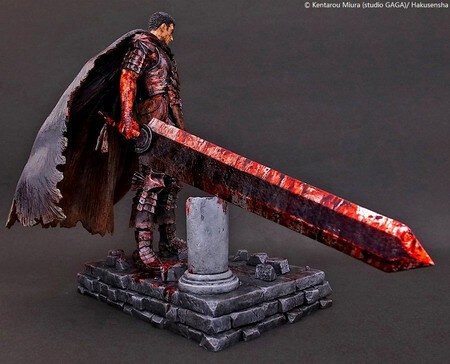 *Customers who pre-ordered No.322 “Guts the Black Swordsman – Birth Ceremony Chapter- 1/10 scale *without dead angel version”, are able to repaint your item same with this blood version. 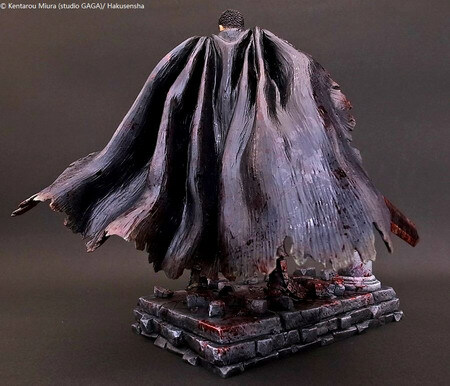 Please contact us before July 17th if you would like to have this repainting, thank you for your cooperation.